Overview... secret agent-turned-criminal. Silva was a brilliant computer hacker and accurate assassin for MI6. 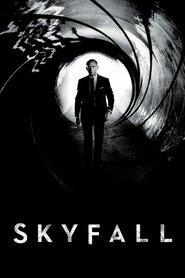 Agent 007 is sent by M to kill Silva, and it is soon discovered that Silva was once M’s best agent, only to be betrayed by her after being captured and taking a defective hydrogen cyanide pill, which left him disfigured. Personality… fancy, intelligent, and maniacal. Silva uses his computer hacking skills to thwart all attempts to capture him. When he has 007 in his grips, Silva challenges him to a sadistic game, forcing him to shoot a shot glass of scotch off the head of a woman he has slept with. Silva basks in the tension and takes pleasure in killing and watching others kill. Raoul Silva's popularity ranking on CharacTour is #2870 out of 5,000+ characters. See our top-ranked characters and read their profiles.